From the very beginning of the nation’s history, intelligence has been set aside as a conspicuous exception to James Madison’s advocacy of checks-and-balances, spelled out in his Federalist Paper No. 51. The ‘auxiliary precautions’ that this key participant at the Constitutional Convention in 1787 (and later America’s fourth President) — the safeguards he had helped build into the Constitution — were never applied to America’s secret intelligence activities. It has been the norm around the world for nations to treat their intelligence services as something special and apart from the rest of government. These agencies wear a cloak of secrecy, have unique access to decision-makers, and are given considerable leeway to carry out their duties without the usual review (in democracies at least) of programs, personnel, and budgets by overseers in the legislative, executive, and judicial branches of government. A nation’s leaders were expected to avert their eyes as the secret services broke laws overseas (a routine occurrence) and engaged in unsavory activities, even assassinations and coups d’état, that would be deemed highly inappropriate for other government agencies. Over the last few decades one of the hottest subjects of debate in the social sciences has been the emergence of ‘cyber’ and its effects on all manner of social relationships and human communities. The term itself is chronically contested and the understanding of the nature of cyberspace in the literature (i.e., its delimitation, composition, and relations with other sorts of space) has a certain buffet quality to it, meaning one thing to some scholars and something else to others. 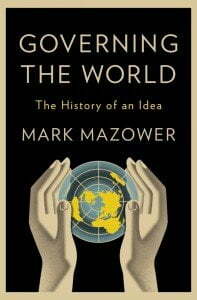 The most influential literature on the subject largely steers clear of the term in the search for the essence of the problem at hand. The sociologist Manuel Castells, for instance, has described the arrival of what he calls the “network society.” The basic idea, in a nutshell, is that the recent (or, perhaps better, ongoing) putative ‘revolution’ in information technology has, in turn, given rise to a paradigmatically new form of organization of human activities—political, economic, and cultural—that is structured around network flows of information, wealth, and, ultimately, power. 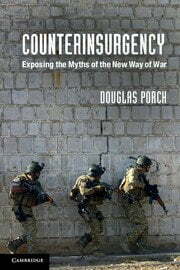 Perhaps only Douglas Porch, with his encyclopedic knowledge of insurgency and counterinsurgency (COIN) and his broader military expertise, could have written this book. Counterinsurgency: Exposing the Myths of the New Way of War is a magisterial examination across time and space of the history of COIN. It is intended to dispel the myths propagated around it as a kinder, gentler form of warfare waged for the benefit of all involved. An eminent military historian, Porch is a Professor of National Security Affairs at the Naval Postgraduate School. He has been writing about revolution, insurgency, expeditionary warfare, military empire building, the role of the military in domestic politics, great power war, and related issues for more than 40 years. 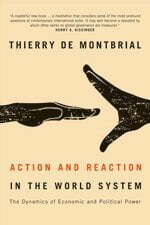 As we enter the second decade of the twenty-first century, the world has become complex, heterogeneous, and unstable. States do not accept a higher authority above themselves. The United Nations Security Council has hardly ever functioned with one voice and is currently immobile because of the blocking power of Russia and China. Third World countries generally do not accept the recently-promoted ‘responsibility to protect,’ as advocated by the Western powers. The unmanageable conflict in Syria, the nuclear-tinged threats of Kim Jong Un, and the explosions at the finish line of the Boston Marathon on Patriots’ Day, are testimony to just how unstable and fragile the peace has become.